RJD chief Lalu Yadav has been lodged in Ranchi's Birsa Munda jail since December 23 last, following his conviction in a fodder scam case. Subsequently, he was convicted in another case related to the scam. Patna: Bihar Chief Minister Nitish Kumar today rubbished the RJD's allegation that Lalu Yadav was "framed" in the fodder scam cases by the NDA regimes at the centre and in the state. "What role did (Prime Minister) Narendra Modi or I have to play in the matter? It is an over-20-year-old case lodged by the CBI, which has been probing the matter following a Patna High Court order," Nitish Kumar told reporters in Patna on the sidelines of his "Lok Samvad" (public interaction) programme. "In fact, I was not even one of the petitioners, on whose PIL the court had directed the CBI to take up the matter. (Deputy CM) Sushil Modi was, so was (state minister) Lalan Singh and (Jharkhand minister) Saryu Rai," the Janata Dal (United) president said. Mr Kumar's retort came in the backdrop of the repeated allegations levelled against him and the NDA by Lalu Yadav and his party, blaming them for the RJD chief going to jail again in the multi-crore-rupee fodder scam cases. The chief minister also took potshots at RJD vice-president Shivanand Tiwary, without taking his name, saying, "One of the petitioners (in the fodder scam cases) is now in their camp and I feel amused to see his reactions." Shivanand Tiwary, who was expelled from the JD(U) prior to the 2014 general election, has been saying that he regrets filing the PIL against Prasad. "I never comment on any judicial verdict. I did not do so in 2013 either," Mr Kumar said, referring to Mr Yadav's first conviction in a fodder scam case that also saw him getting disqualified from contesting elections. Lalu Yadav and Nitish Kumar had joined hands to contest the 2015 Bihar Assembly polls, after which the latter returned as chief minister while the former's son, Tejashwi Yadav, became the deputy chief minister. However, the JD(U) leader walked out of the coalition, following corruption cases filed against Tejashwi. Nitish Kumar then formed a new government with the BJP in the state in July last year. "I had not asked them (RJD) to declare me as the chief ministerial candidate, nor did my party make any such demand. They took the decision themselves, realising its poll prospects. They keep accusing me of betraying the mandate. 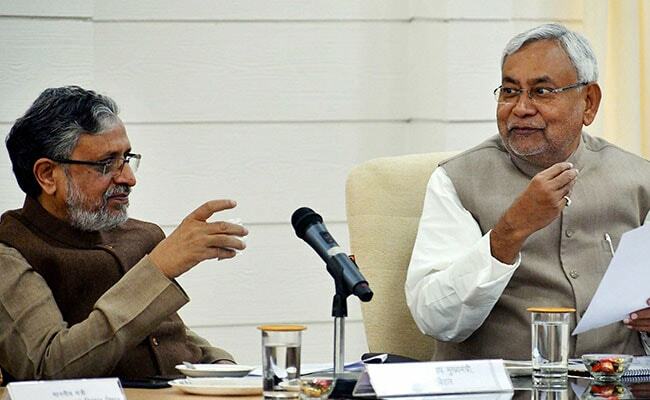 We had got the mandate to govern, not to indulge in corruption," Nitish Kumar said. Ever since the Grand Alliance, comprising the RJD, JD(U) and Congress, got dismantled, the RJD has gone on the offensive against Mr Kumar. The attacks got sharpened after Lalu Yadav was sentenced to jail in the two fodder scam cases. The over-Rs 900-crore fodder scam is related to irregularities in the animal husbandry department in combined Bihar in the early 90s when Lalu Yadav was the chief minister.